Distracted driving injures more than 500,000 people each year. While new technology allows us to check our e-mails, send texts, and update social media with ease, it also has proven detrimental to safe driving practices. 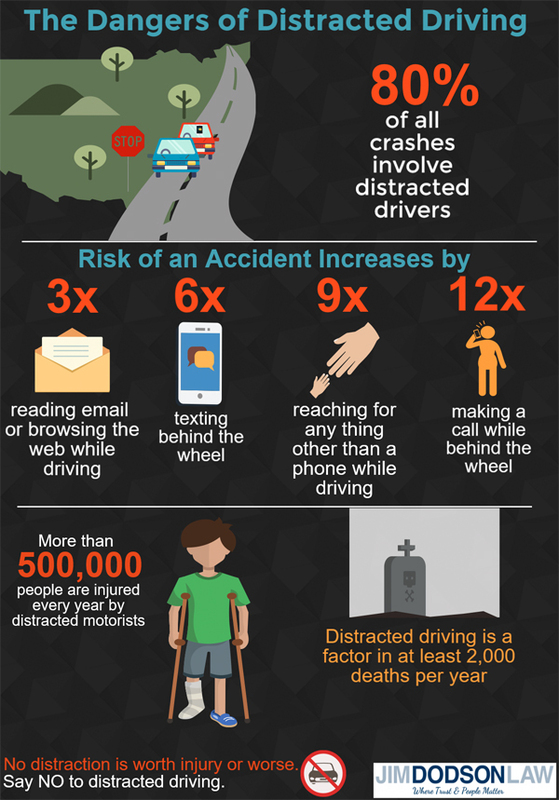 The National Safety Council observes April as Distracted Driving Awareness Month to draw attention the prevalence of distracted driving and the danger it poses to pedestrians, drivers, passengers, and cyclists. Smart phones are designed to make our lives easier and information more convenient, but behind the wheel using cell phones and other devices turn lethal. Checking your cell phone can always wait. Before you send a text or e-mail behind the wheel, remember by doing so, you not only put yourself but others around you in danger. Don’t take the risk. Remember to drive safely and responsibly.